For most consumers, the purchase of a new vehicle is a big decision that involves both practical and emotional considerations. J.D. Power enables the practical drivers among us to find the most reliable and best built models with its annual Initial Quality Study, which tracks problems experienced by new vehicle owners within the first 90 days. But J.D. Power's annual Automotive Performance, Execution and Layout Study, otherwise known as the APEAL Study, tracks new vehicle owners' emotional attachment and level of excitement on a 1,000-point scale. The APEAL Study measures 77 attributes that range from the "power they feel when they step on the gas to the sense of comfort and luxury they feel when climbing into the driver's seat." "Many automakers are getting better and better at giving consumers what they want in a vehicle," said Dave Sargent, vice-president, global automotive at J.D. Power. "Manufacturers are making ever-higher quality vehicles, but this is not coming at the expense of performance, styling, utility or features." The average score of 810 points across 32 car brands examined in the 2017 APEAL Study was the highest ever recorded. Porsche scored 884 points and claimed the top spot for the 13th consecutive time, with other premium brands Genesis, BMW, Audi and Mercedes-Benz rounding out the top five. We've featured some of our favourite offers this week from brands with the highest owner satisfaction according to J.D. Power's APEAL Study. If you don't find an offer that suits you, be sure to check out the new Globe Drive Build and Price Tool to see the latest incentives and discounts on any new car, truck or SUV. Genesis was launched in 2016 and has enamoured auto enthusiasts and luxury consumers alike for being the first auto maker to offer a complete end-to-end online car-buying process called Genesis at Home. The brand also ranked second this year in both J.D. Power's APEAL Study – the only non-German brand in the top five – and Initial Quality Study, demonstrating high build quality and owner satisfaction. 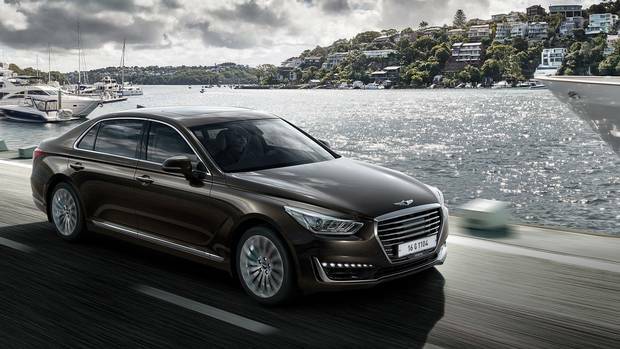 The Genesis G90 full-size sedan has two available engines: a 3.3-litre twin-turbocharged V6 that outputs 365 horsepower and 376 lb.-ft. of torque and a 5.0-litre V8 that delivers 420 horsepower and 383 lb.-ft. of torque. Standard features include a 17-speaker, 900-watt Lexicon surround sound audio system along with a 12.3-inch infotainment system with navigation, a heads-up display that projects vehicle information on the windshield, a seven-inch LCD driving information display in the instrument cluster, a multiview camera system that provides a 360-degree view of the vehicle for convenient parking, Nappa leather seating and bi-xenon HID or full LED headlights, depending on the trim. The G90 also includes safety features such as adaptive cruise control, active blind spot detection, lane assist and autonomous emergency braking with pedestrian detection. The BMW X1 attained the 2017 APEAL Study's top rank in the small premium SUV segment, while BMW ranked third overall. The X1 is also BMW's best-selling SUV in Canada, with 3,540 sold so far this year, up more than 30 per cent over the same period last year. 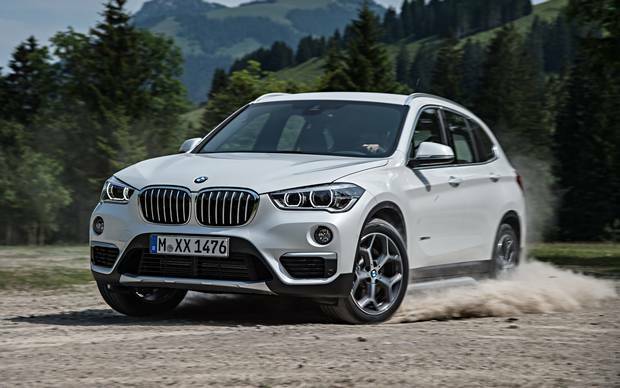 The BMW X1 is equipped with a 2.0-litre TwinPower turbo engine that outputs 230 horsepower and 260 lb.-ft. of torque mated to an eight-speed automatic transmission and all-wheel drive. Standard features include adaptive LED headlights that shine light in the turning direction of the vehicle, power folding side mirrors, wood interior trim and run-flat tires. The X1 maximizes fuel economy with BMW's EfficientDynamics technology, including automatic start/stop, which switches off the engine when the vehicle is at a temporary standstill, and brake energy regeneration, which feeds unused kinetic energy into the battery while braking. Audi came in fourth overall in the 2017 APEAL Study and took the top spot in the small premium, compact premium and mid-size premium car segments. 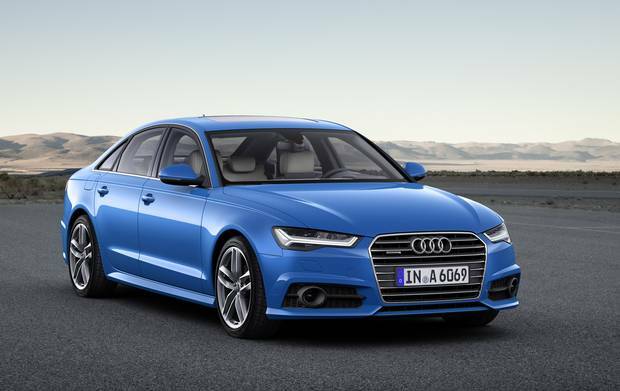 The Audi A6 is powered by a 2.0-litre, four-cylinder turbo engine that outputs 252 horsepower and 273 lb.-ft. of torque. It comes standard with xenon headlights with an available LED option, LED tail lights, leather seating, dual-zone climate control, an eight-inch multifunction infotainment display with navigation and a 14-speaker Bose surround sound audio system. With available safety features such as front and rear automated emergency braking, front and rear parking sensors and forward collision warning, this luxury sedan was awarded a 2017 Top Safety Pick by the IIHS and a five-star safety rating by the NHTSA. 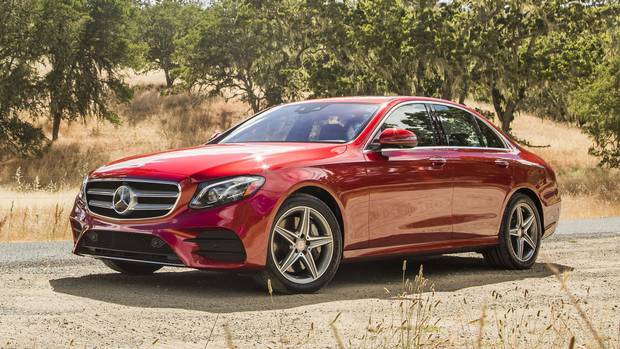 Mercedes-Benz rounded off the top five brands in this year's APEAL Study. The newly redesigned 2017 Mercedes-Benz E300 sedan delivers 241 horsepower and 273 lb.-ft. of torque via a 2.0-litre four-cylinder turbocharged engine mated with a nine-speed automatic transmission with manual shift paddles. The technology features include a standard 12.3-inch central display with navigation, smartphone-like multifunction touchpads mounted on the steering wheel to control almost every cockpit feature, an available 12.3-inch widescreen instrument cluster and a heads-up display that projects useful information on the windshield in the driver's natural field of vision. The exterior of this luxury sedan features a wide chrome grille with the iconic "star" badge, along with LED headlamps and fibre-optic LED tail lamps with chrome accents. Andrew Tai is CEO of Unhaggle. Follow on Twitter @ahytai.